I want to show you another one of my works. 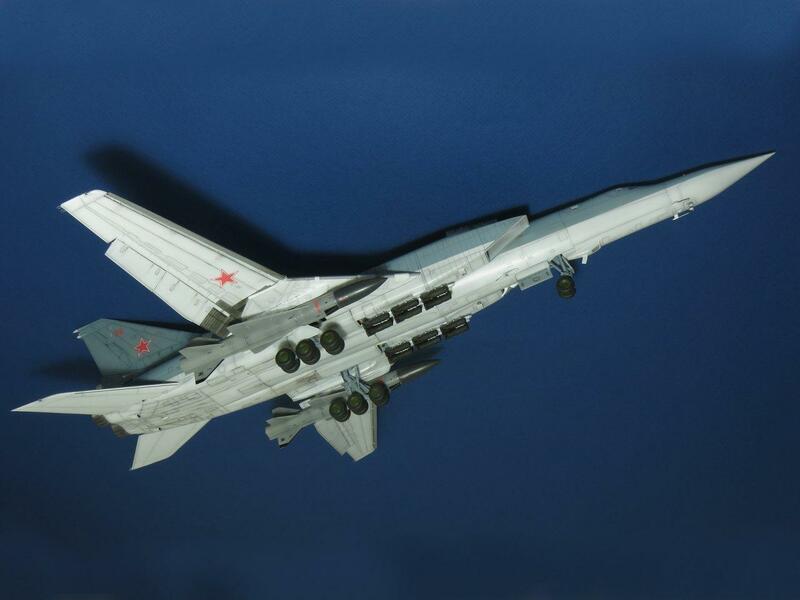 This is supersonic a strategic Russian long-range missile carrier Tu-22M3. 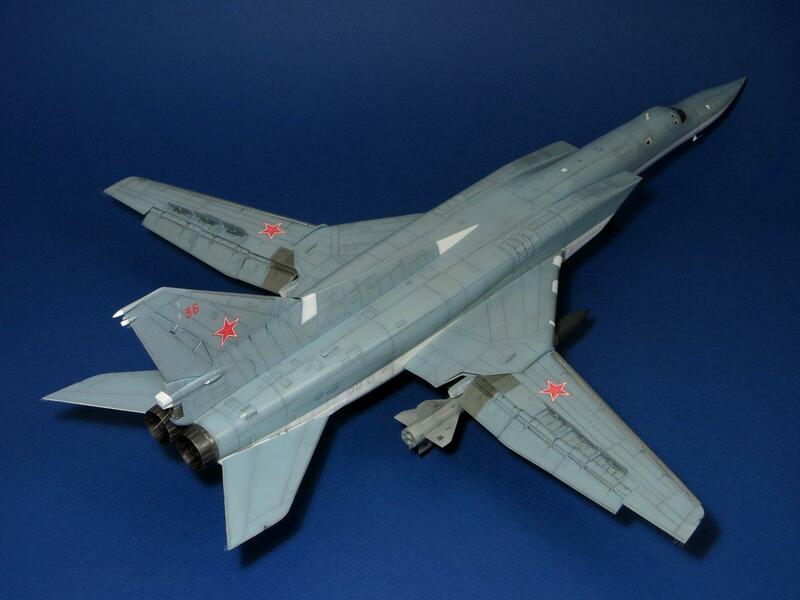 The process of assembling the model did not cause any difficulties. The connection of the parts on 5 with a small minus (ideally never happens). Slightly modified the mounting Assembly of the wing to the fuselage. 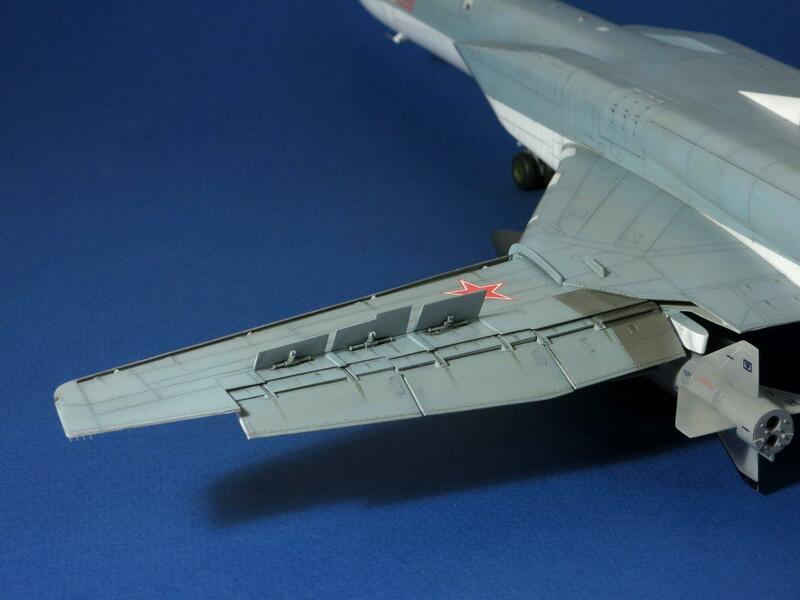 For strength put a tube from the antenna down through the fuselage, and the ends in the cavity of the wings. It turned out very strong connection. Also fixed the stabilizer and made it rejected. So interesting. 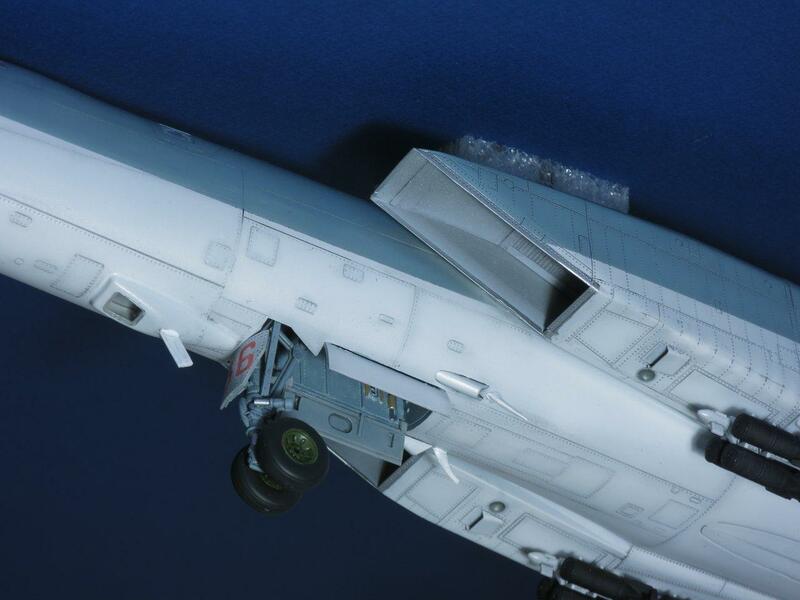 Another of the improvements – BANO, antistatic from the fishing line, the cavity of the air intakes of the engines (in the set of the interior is completely missing), lights on the bottom of the engine, wasted all the intakes that looked really holes and not muted blanks. 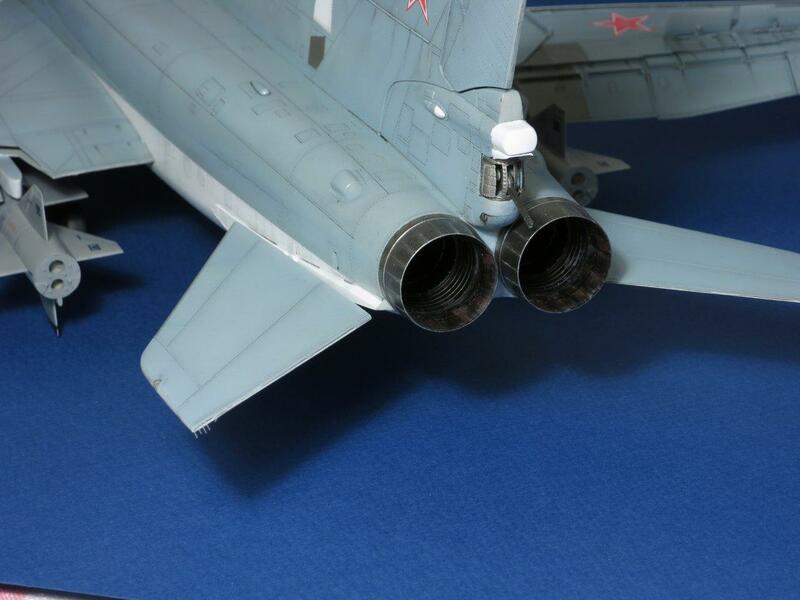 From photo-etched parts sits in the intakes under the engines. Painted With Tamiya, Mr.Color, Revell. Thank you. 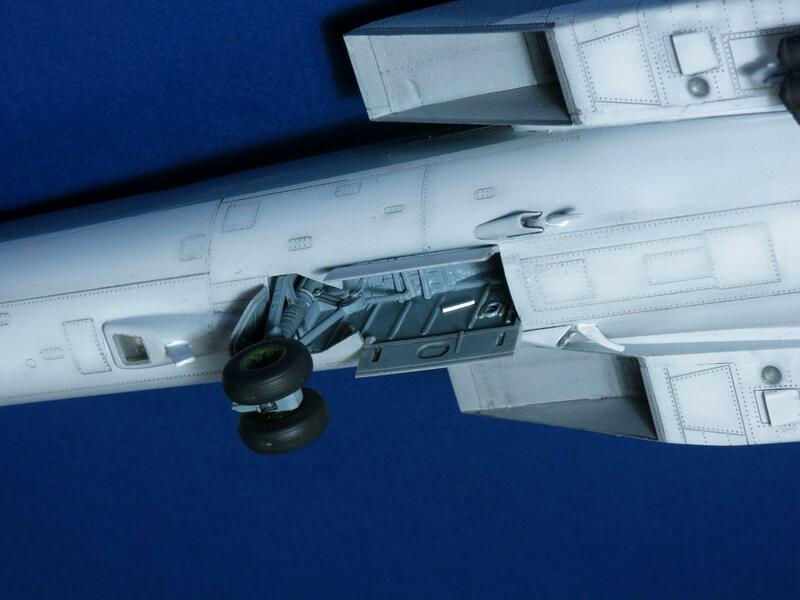 Yes, it’s 1/72. I added this to the title of the article. 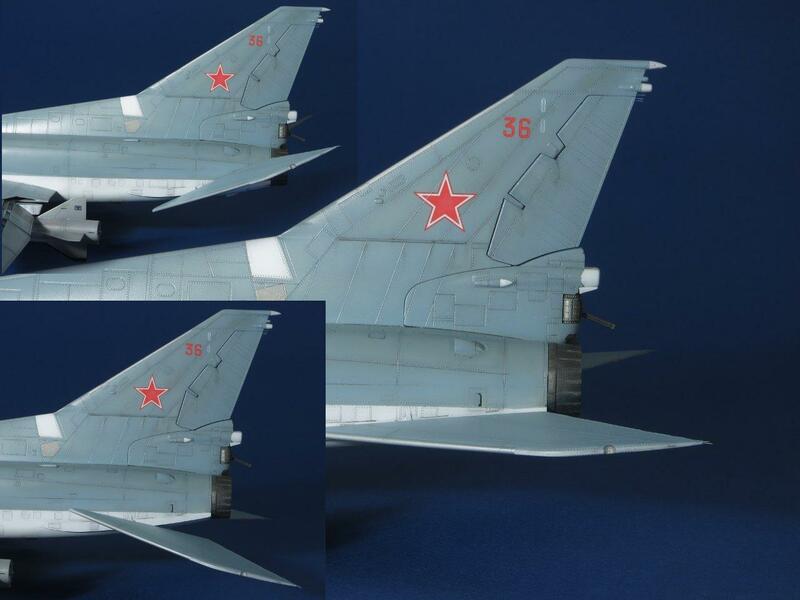 Very nice Dmitry, I like the color variations through preshading on the hull. Planes also in the news lately! Thank you, Michel. Yes, unfortunately now a very disturbing situation, it makes these beautiful planes be on the alert. That’s really well done, Dmitry. That’s quite the payload it’s carrying! 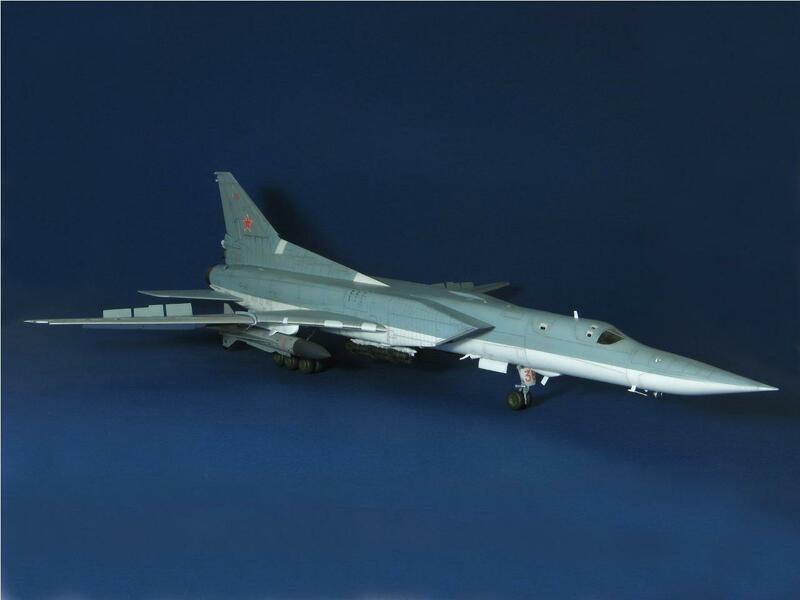 On a related topic, would you know if any Tu-16s assigned to Soviet naval aviation were painted in that gray over white scheme? 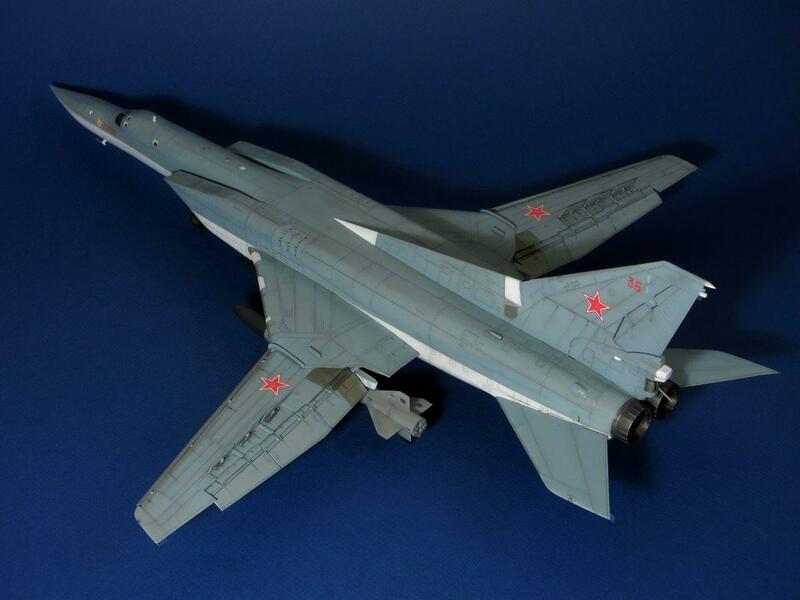 I seem to remember seeing a photo of such an aircraft on a Russian site, but naturally can’t find it in searches. Tu-16S I’ve only seen Metallica. Coloring with gray top and white bottom did not come across. Beautifully done, Dmitry! I love the look of the big Backfire, especially with the wings folded back in the “full speed” configuration. I agree with You, Jeff. I also like this view very much. Maybe in the future I will build such an option. It’s another beautiful model, Dmitry. The “Backfire” has a mean look to it. 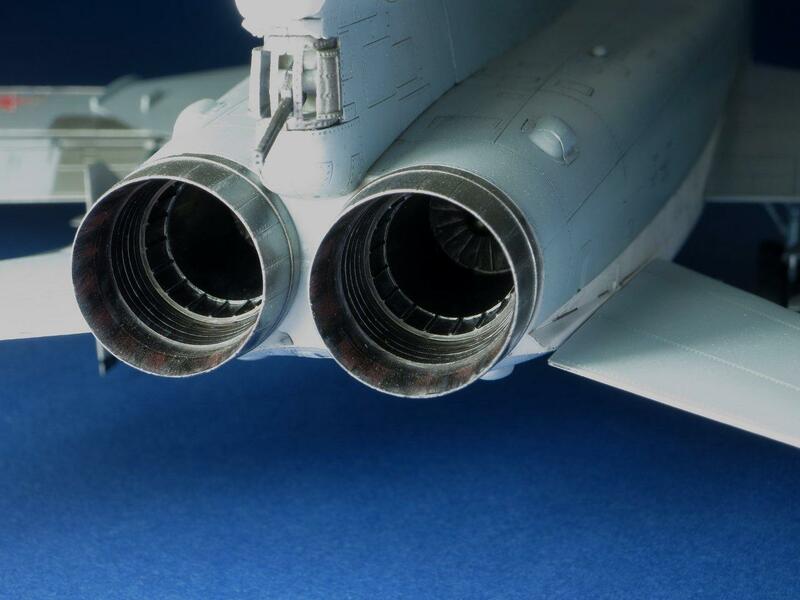 Biggest afterburning engines i ever saw. 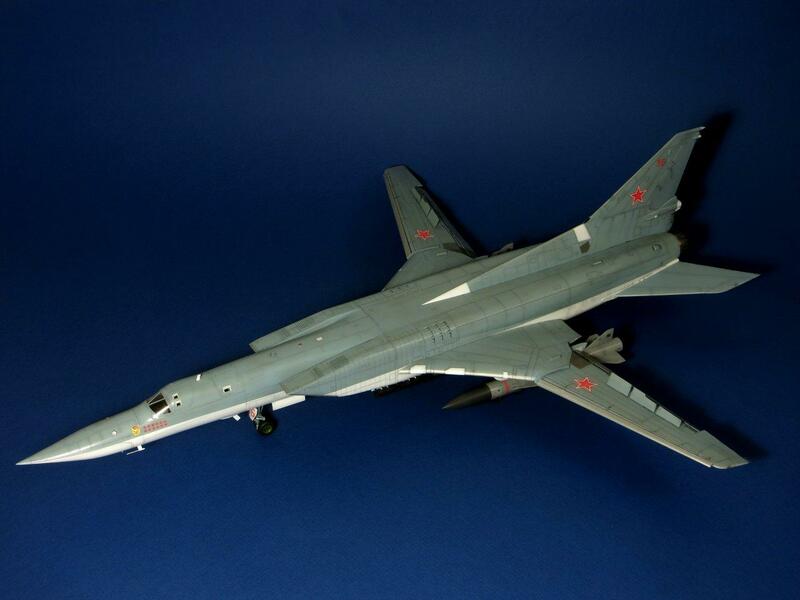 I’ve also seen the 72nd scale Tu-160 built up. Equally impressive model when finished. A real beauty! You can sure make an otherwise drab mono-grey scheme really pop with your detailing. Love it! Thanks, friends! I am very glad that the model has found a positive response from you. 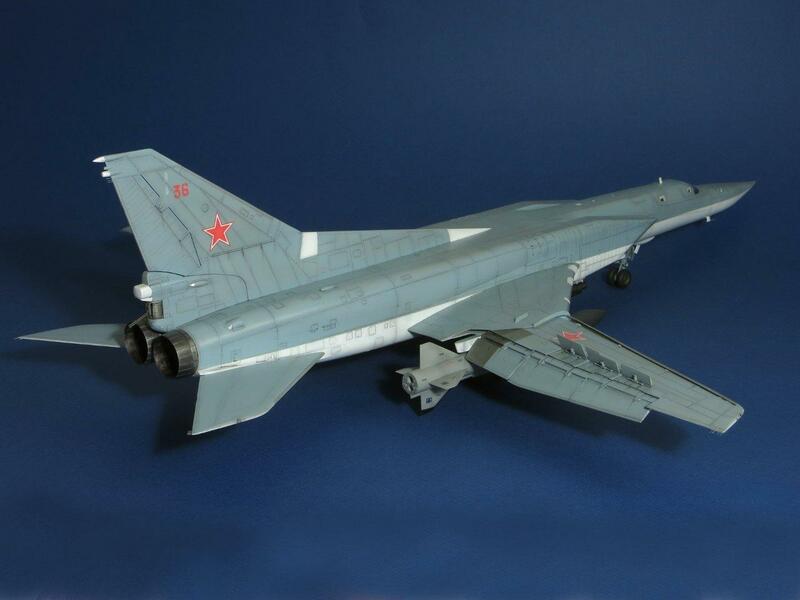 Great job, Dmitry…beautiful model. Now, if someone out there can help an old man with some translation. I’m not trying to be insulting, but some of Dmitry’s text doesn’t make sense to me. If anyone can “translate” for me, I would appreciate it. 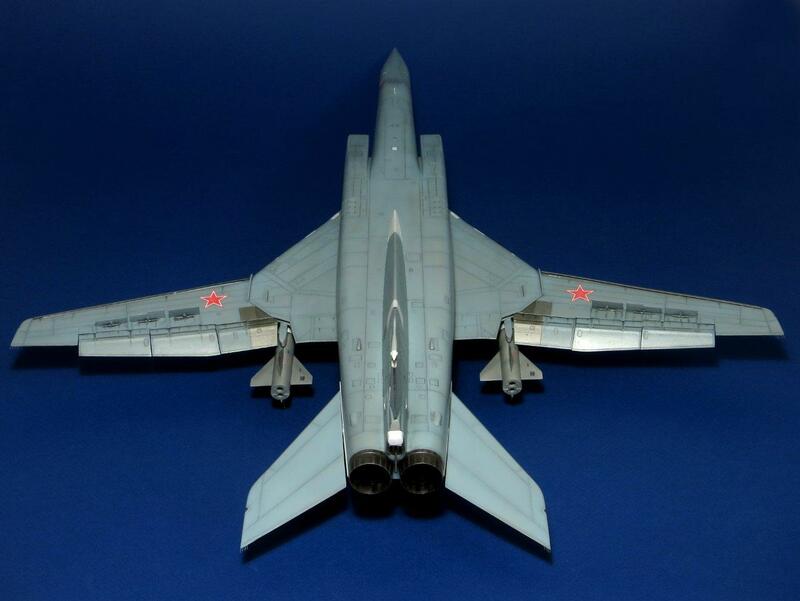 I have built the Tu-22KD “Blinder”, and this kit would look great posed next to it. Thank you for your comment. Sorry for my bad english. At school and at university I studied French))). If you quote me my words that you did not understand, then I will try to say otherwise, so that you understand their meaning. Thanks for your reply. What do you mean by this stement: “Also fixed the stabilizer and made it rejected.” ? 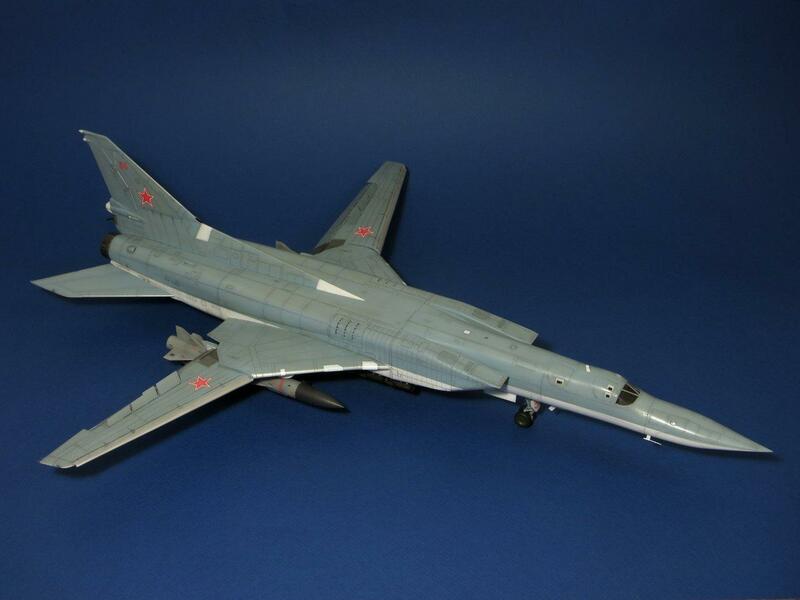 I have the Modelsvit Tu-22KD Blinder, and I think the Trumpeter Tu-22M3 would look very good with it. Marvin, I meant the following: the stabilizer I put on a metal axis. Therefore, it can deviate up and down. Thank you, Dmitry: I understand now. Thanks for the pix, too. A very impressive build Dimitry. I like this one. The paint scheme looks great and this Trumpeter kit is far better than the Italeri 1/72 offering. You really made the most of this kit. Well done!! Very nice work Dmitry!!! I love the weathering. Поздравляем, товарищ!!! Khoroshaya rabota, Dmitry! 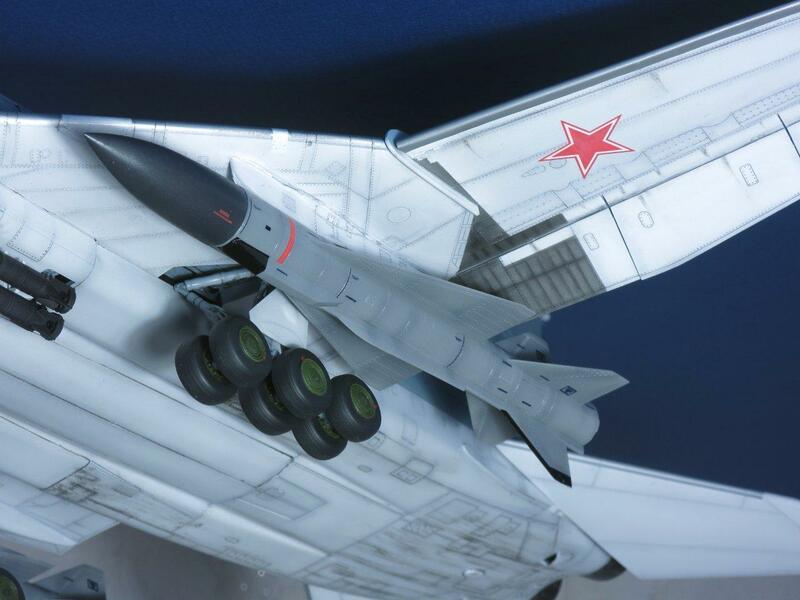 Really nice work on the Tu-22M3! Impressive build mate! 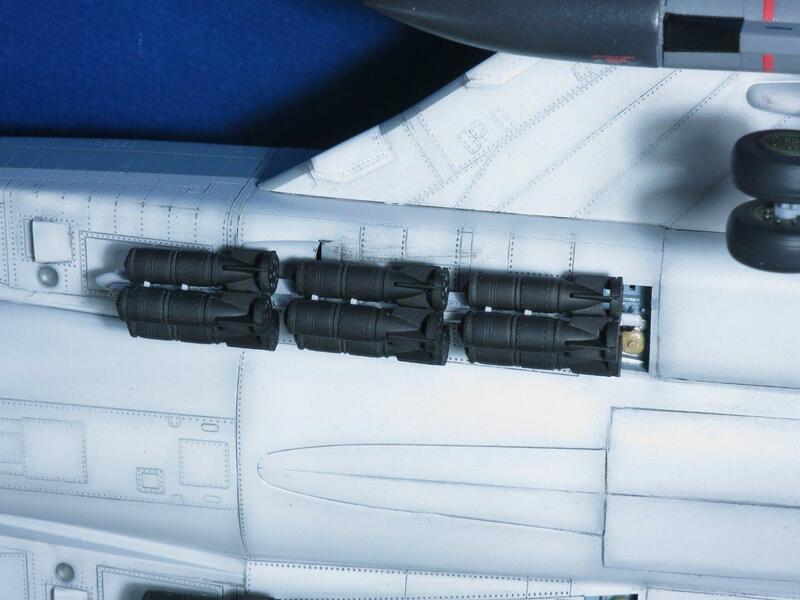 What type of missiles are they? They look huge. Thank you! 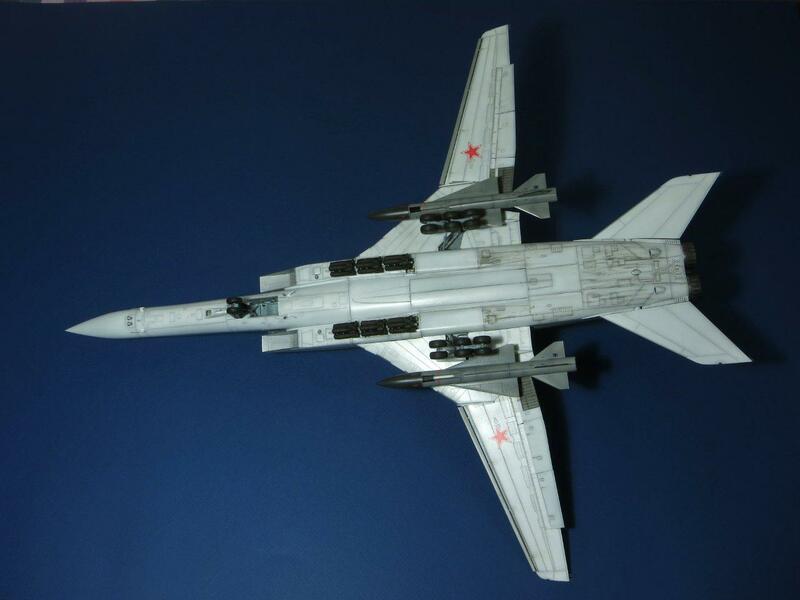 This missiles KH-22. Yes, they are very large. 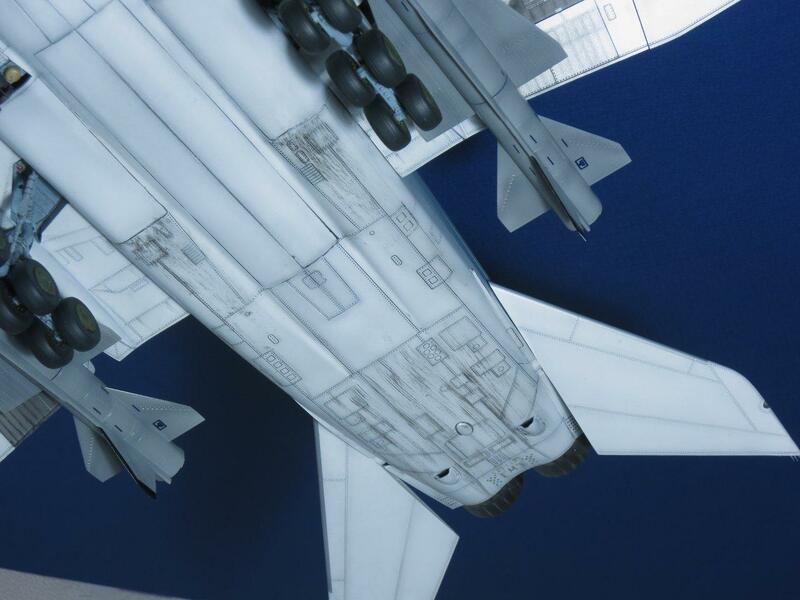 Do you recall what color you used for the upper half of the fuselage? The blue really captures it. I mixed the color of the three: black, white, blue. Proportion approximate did.